With our moving lifts we can transport your belongings to higher floors fast and smoothly. 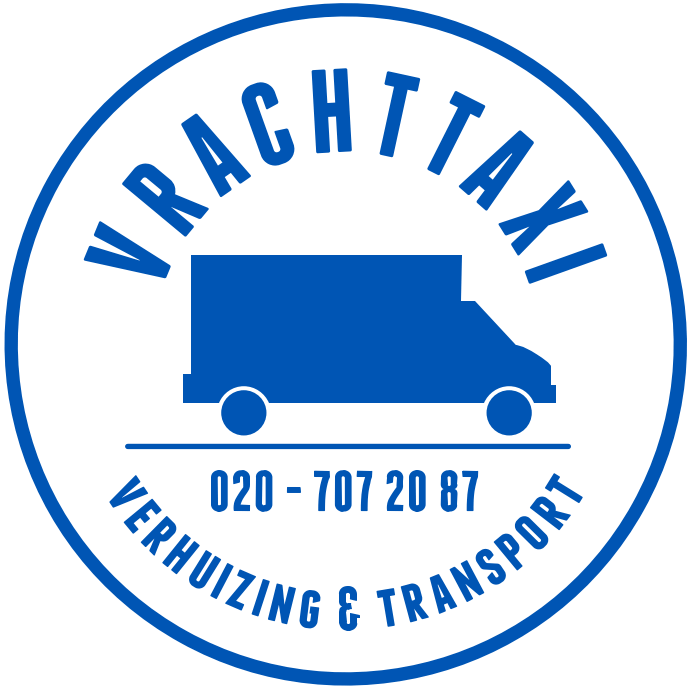 € 80,- for the first hour, then € 15,- per quarter within Amsterdam. Price includes transfer, placing and operating the moving lift. If the lift operator needs to help carrying items, he costs € 27,- per hour. We have a lift which can reach the 4th floor, and one that reaches the 7th floor. 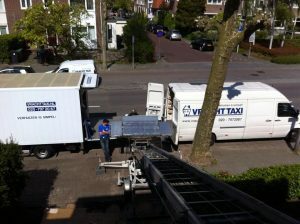 Our lifts can also be deployed outside Amsterdam contact us for call out charges. The lift needs to stand at a specific area to be able to operate. It stands 6 meters out of the wall and will take up 2,5 meters width. The lift can also be partly placed on a cycle path, parking space or public road, but you are responsible for keeping the space free. The lift should also be perpendicular to the corresponding window. We need to charge € 35,- call out charge in case we cannot set up the lift. Officially you need a permit for this from your City Hall. This takes about 5 working days and there are costs involved. If you have not requested a permit, we’ll come, but it’s done at your own risk. If we would seriously interrupt traffic in the preparation of placing the lift, it is highly recommended to request a permit. 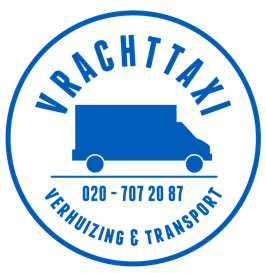 You can do this at het Digitale Loket Amsterdam, look for “Parkeren en verkeer” (left bottom of the page). If you choose not to get a permit the possible fine is yours.